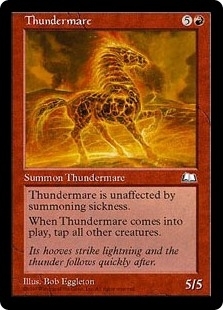 Thundermare ($0.35) Price History from major stores - Weatherlight - MTGPrice.com Values for Ebay, Amazon and hobby stores! 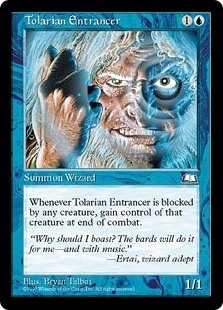 Card Text: Haste (This creature can attack the turn it comes under your control.) When Thundermare enters the battlefield, tap all other creatures. 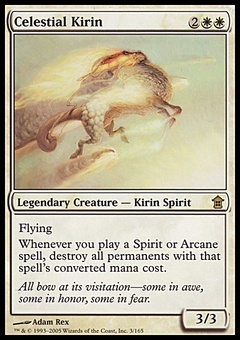 Flavor Text: Its hooves strike lightning and the thunder follows quickly after.